Preheat the oven to 180*C and grease and line a 30cm by 25cm rectangular cake tin. Pour the Sasko Vanilla Muffin Mix into a bowl and add the oil, milk and eggs as per the packet instructions. Pour the muffin batter into the cake tin and bake in the oven for 20 minutes or until a skewer inserted into the centre comes out clean. To make the Tres Leches: whisk the condensed milk, evaporated milk and cream together. Once the cake has cooled completely, use a cookie cutter with the same circumference as the opening of the jars and cut out 16 circles of cake. 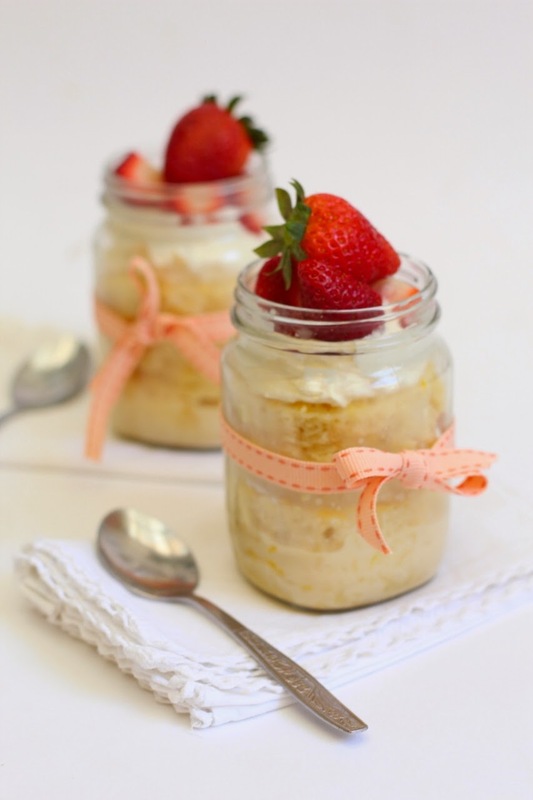 Push a circle of cake gently into the bottom of each jar, sprinkle over a little zest and pour over 45ml of Tres Leches. Top with a second circle, sprinkle with a little more zest and pour another 45ml of Tres Leches over the cakes. Screw on the caps and refrigerate for at least 2 hours or up to 24 hours before serving. To serve: whip the remaining cream and slice up the strawberries. 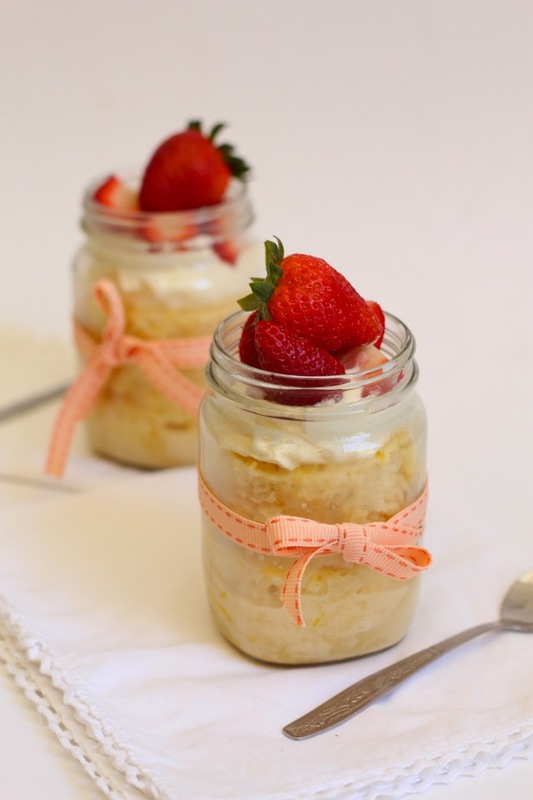 Spoon a dollop of whipped cream into each cake jar and top with sliced strawberries. Tip 1: You could use any kind of berry or fruit: blueberries, raspberries, mango, granadilla pulp etc. Tip 2: If you want to make a chocolate version you could use a packet of Sasko Quick Treats Chocolate Muffin Mix instead of Vanilla and use chocolate chips instead of lemon zest. Tip 3: If you don’t have a cookie cutter you can use a glass or one of the jars to cut the circles of cake. You can buy screw top jars from Consol glass stores as well as most large supermarkets.